The small dried tomatoes were prepared in olive oil and retained their taste of the South. Tomatoes ripened outdoors and harvested by hand. Enjoy them in a salad or a tomato eggplant clafoutis. Small dried tomatoes 63%, extra virgin olive oil 33%, wine vinegar, basil, parsley, garlic, pepper, oregano, salt. Antioxidant: ascorbic acid. An Italian company Mastrototaro undertook to pass on his love for nature and traditional culture of the cotta offering delicatessen products made with quality raw materials. 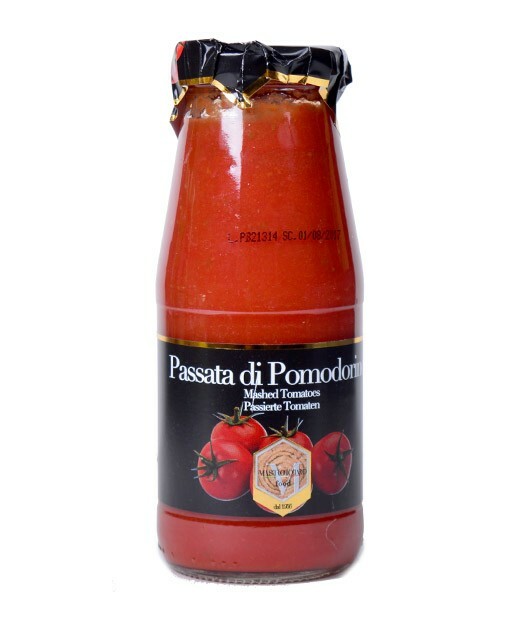 Mastrototaro products have a very intense flavour and sublime headlights foods of Italy.